A nursing student wakes up at 6 A.M. in her dormitory room at the Good Samaritan School of Nursing. 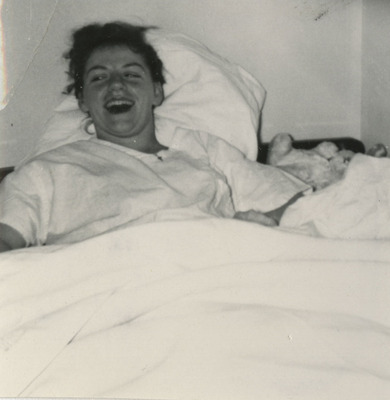 Unknown, "Early Morning at the Nursing School" (1951). Good Samaritan School of Nursing Photographs. Image. Submission 195.